When Spring finally hits, we all get excited to throw parties. 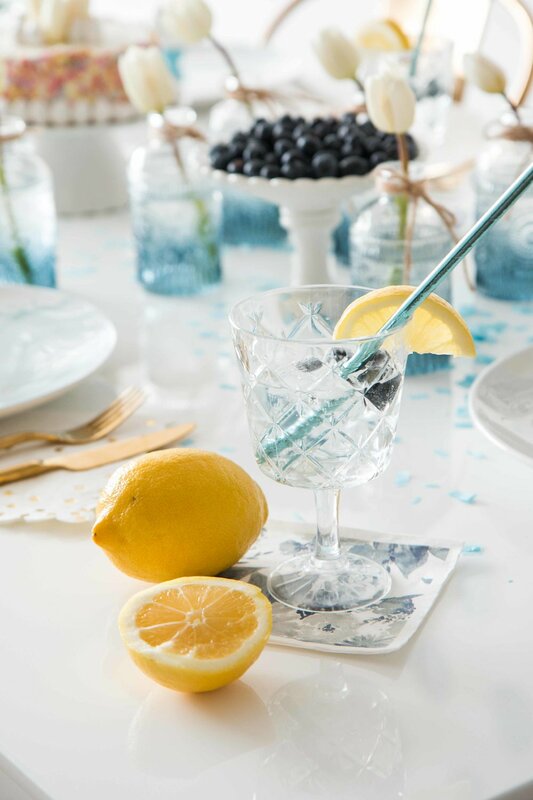 We so often gravitate to the bright yellows and pinks we see at the farmer’s market and in our stock of party supplies. For our Easter celebration this year, I wanted to work in a different color scheme to change it up. 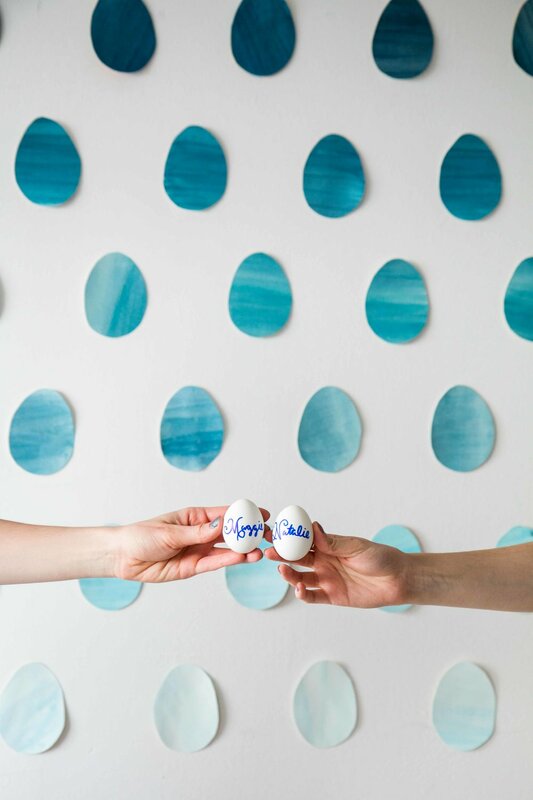 There’s something about baby blue that reminded me of bright sunny skies, so I made it a point to create DIY decor to match that: starting with an ombre egg wall! 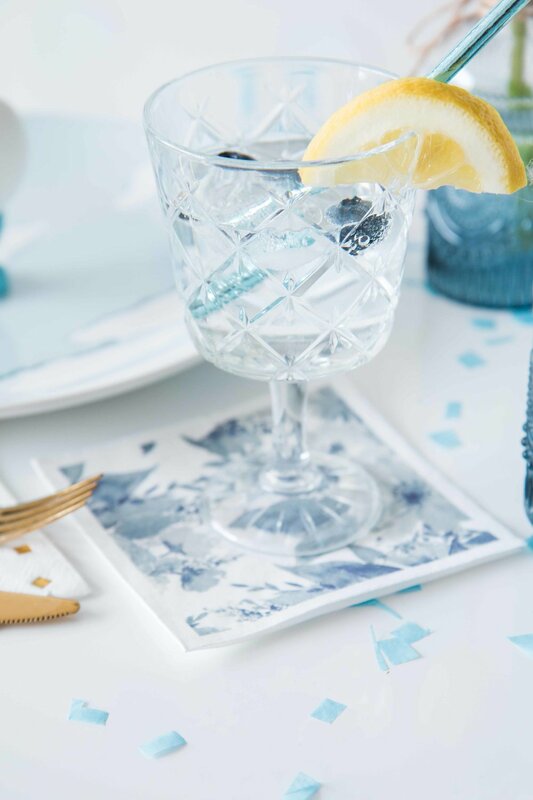 If you want to achieve this look at home, just cover multiple sheets of watercolor paper in varying shades of blue, wait for them to dry, then cut out the shape you need. I used a stencil I found online. Next, I painted little wooden egg stands light blue to hold the hard boiled eggs I made for each guest. I labeled the eggs with everyone’s names to use as the place card. Unless you’re using a non-toxic marker, make sure your guests know NOT to eat these! Next, I decorated our cake to match the Easter theme. To make your life easier when entertaining, make a commitment to items you aren’t going to make from scratch. For dessert, we often use something store bought. 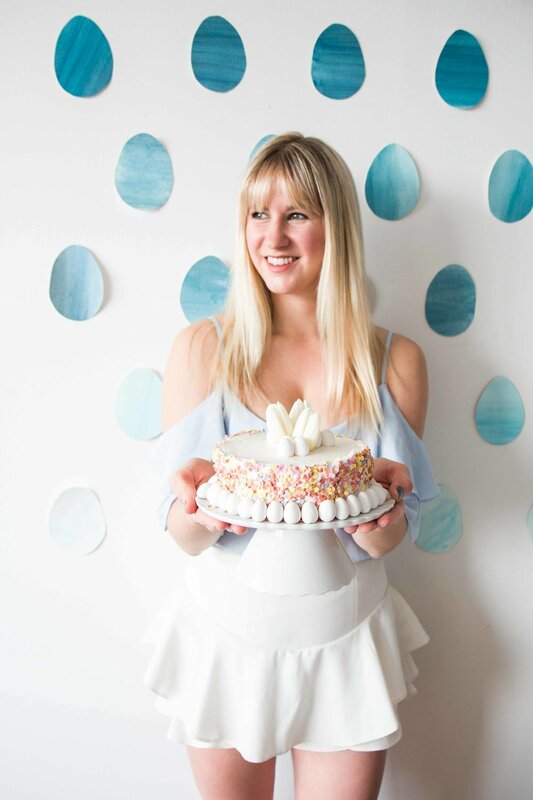 We found this cute little cake at Trader Joe’s and made I special by adding some tulips and egg candies to the top. And then we set the table. We used our favorite blue plates, gold cutlery, and confetti napkins. We bought tulips and added them to blue vases from minted. We made very basic cocktails with vodka, club soda, lemon juice, and simple syrup with blueberries to garnish. We also set out bowls of blueberries for snacking. 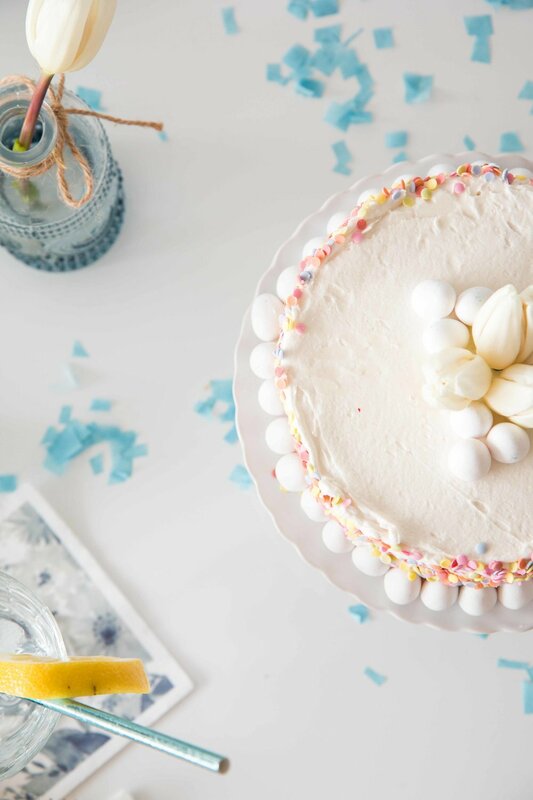 We hope you have a wonderful Easter, filled with eggs and cake and family fun!